Female, 47 years old, and single. Birthday is January 15, 1972. Owns a 2004 Honda® Shadow 750 Aero VT750C. 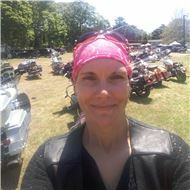 Looking for friends, riding partners, or a relationship. Drinks socially. Lives in middle island, New York United States. Member since August 2016.